Leading indicators point to a growth slowdown. The gloves are off in the spat between the Reserve Bank of India and the government. Media reports say New Delhi has invoked powers under the Section 7 of the Reserve Bank of India Act to issue directions to the central bank. Former Finance Minister P Chidambaram was quick to point out that this clause has never been used before. Indeed, quarrels between the central bank and the government are not new. There have always been differences of opinion. The main issues of contention between the two now seem to be this: RBI should relax restrictions on lending by weak banks, open a special liquidity window for NBFCs, be lenient on loans to micro, small and medium enterprises (MSMEs). Moreover, the central bank should part with some of its reserves, which the Centre deems excessive, or increase its dividend to the government. But what’s prompting the government to invoke these powers now? India is not in a crisis or an emergency situation. Even the liquidity crunch in the non-bank financial company (NBFC) space is not turning out to be India’s mini-Lehman Brothers moment as some feared, going by current data. The consensus seems to be that there is no solvency crisis as of now. But yes, the NBFC business model of using short-term loans to finance long-term assets is dented. They are unlikely to replicate the heady 40 percent growth of the last few years. With NBFCs increasingly becoming significant in the overall flow of credit to the economy, growth is sure to take a hit. That seems to have worried the government in an election year. Lower growth and fewer jobs will take the sheen off the government’s performance. Indeed, the common thread in most of the Centre’s demands is that they will increase the flow of credit to the economy. 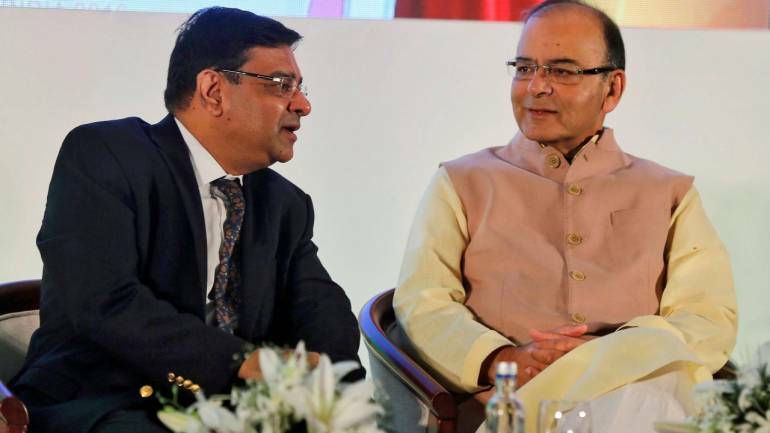 Never mind the fact that Finance Minister Arun Jaitley publicly criticised the central bank for “looking the other way” as banks lent recklessly during the first United Progressive Alliance (UPA) government, the current government wants the banks to open the lending taps to push growth. Already, there are signs that growth will slow. Although first quarter GDP growth was at a 15-quarter high of 8.2 percent, high frequency indicators point to a slowdown. Nomura Research’s leading indicator for growth says that data is showing early signs of a demand slowdown led by rural and urban consumption demand. For instance, growth in sales of two-wheelers, cars and tractors were well below their long term average in September. Anecdotal evidence shows dull sales in Dussehra and Diwali, which account for almost a third of sales in categories such as consumer durables. Nomura projects GDP growth to slow to 6.9 percent in the March quarter because of weaker global demand, higher oil prices, tighter financial conditions and a negative fiscal impulse with risks tilted to the downside. Increased credit flow could give a leg up to growth in an economy that is currently running on the single engine of consumption. Raiding the RBI’s reserves will provide some spending cushion for the government without breaching the fiscal deficit. Hence, the desperate decision to invoke never before used powers. However, such a move may well backfire if RBI governor Urjit Patel resigns, as is being speculated. India is an open economy now. A prolonged stand-off, or the governor's resignation, may provoke a rout in the bond and equity markets. That in turn will not only increasing borrowing costs for the government, but also negatively impact the real economy, dampen growth and hurt the government’s re-election prospects. It could be a case of winning the battle, but losing the war.